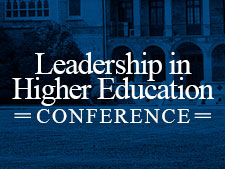 This conference is an opportunity for leaders in higher education to learn innovative strategies, trends, and best practices for effective management. Magna Publications today announced a new conference for academic leaders, including department chairs, deans, provosts, and faculty development directors. The three-day conference will be held October 6-8, 2016, at the Sheraton Atlanta Hotel in Atlanta. The conference will bring together hundreds of academic leaders from colleges and universities throughout the United States and Canada. The event will feature approximately three preconference workshops and 50 concurrent sessions. It also includes three plenary presentations by higher education visionaries. The company will call for plenary, workshop, and session proposals next month. Magna will be working with a board of higher education experts to plan the conference and its content. Founded in 1972, Magna Publications is dedicated to providing high-quality, research-based professional development resources to the higher-education community. The company’s growing portfolio of online seminars, online courses, newsletters, and in-person events represents some of the most trusted names in higher education, including: The Teaching Professor, Online Classroom, Academic Leader, Distance Education Report, and Faculty Focus. The company is based in Madison, WI. Learn more at http://www.magnapubs.com/. Magna Publications founded Academic Leader newsletter in 1984. The goal was simple: create a newsletter that helps leaders at almost every level in higher education benefit through coverage of trends, challenges, and best practices. The conference evolved from Magna’s long-standing relationship with this audience, and with our more than 13 years of experience with dynamic, in-person, professional development events for higher education teachers and professionals.